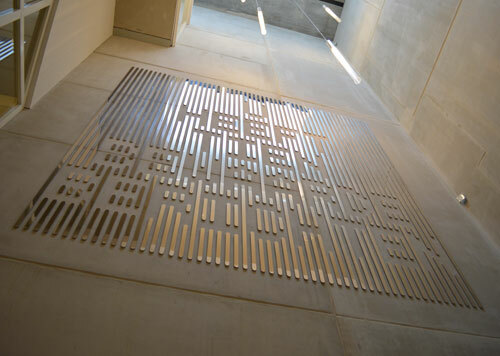 The figuration comprises vertical lines of polished metal reflecting the sunlight shining into the hall, through the roof window. The tints and reflections of the surroundings keep on changing in the mirroring surface along every sightline; upwards from the ground floor, from through the window next to the access to the Schul on the first floor, and from the stairwell above. 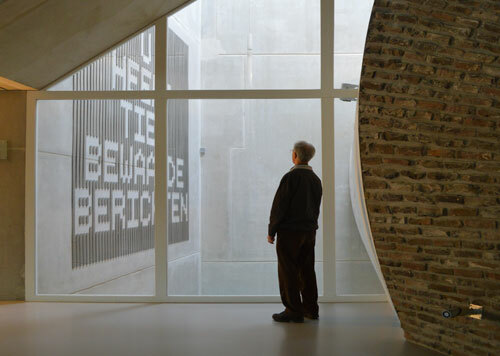 While looking at the interplay of light and lines high on the wall, the contours of letters become visible. A radiant message appears to the visitor. A message from above. Art with a message - from yesterday, today and tomorrow. When entering and leaving the Synagogue. Over and over again, a vision for now and forever more: 'You have ten saved messages'. 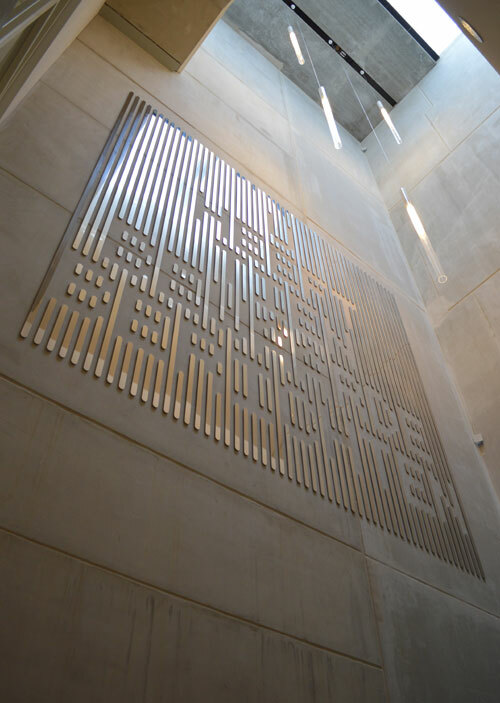 'U Heeft Tien Bewaarde Berichten' ('You Have Ten Saved Messages'), Martijn Sandberg, 2013.